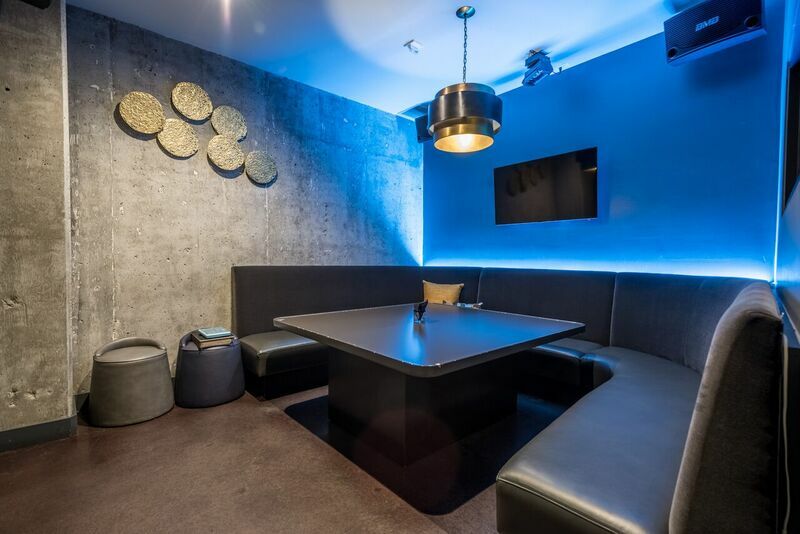 THE Venue offers 13 Private Karaoke Rooms, each beautifully designed and able to accommodate anywhere from 1 to 50 guests! 1. how much is it to book a karaoke room? WHICH FORM DO I FILL OUT? Karaoke Rooms for parties between 1-12 guests are $40-$50 per hour and require a $100 food and beverage minimum. Submit the $100 cancellation form to book a room. Karaoke Rooms for parties between 4-23 guests range from $60-$100 per hour and require a $200 food and beverage minimum. Submit the $200 non-refundable deposit form to book a room. 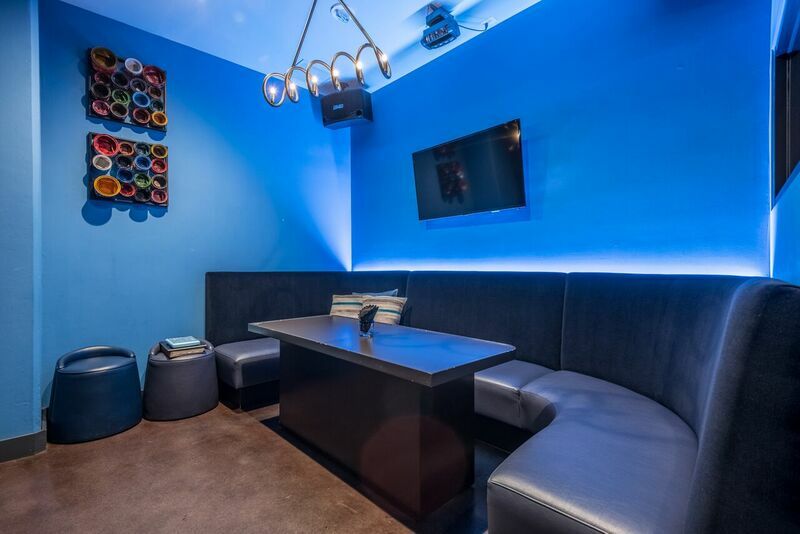 Our XL Room is great for parties between 24-50 guests. It is $150 per hour and requires a $400 food and beverage minimum. Submit the $400 non-refundable deposit form to book the XL Room. 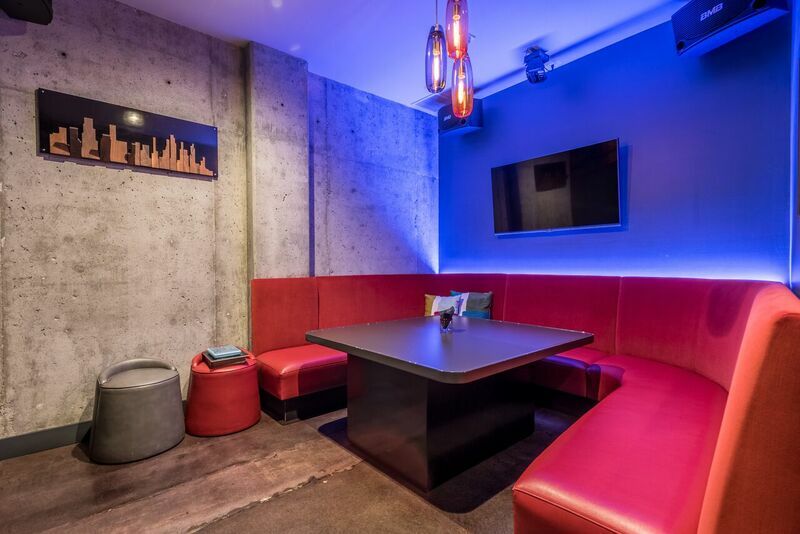 See pictures of our Private Karaoke Rooms below and follow the Price Chart to decide which room best suites your party! 2. Do I have to be over 21 years old? Guests under 21 years of age are permitted in Karaoke Rooms, however, no alcohol can be served to the room. After 10pm on Fridays and Saturdays, all guests must be 21+. 3. Do you serve food/drinks in the karaoke room? Yes! We have a Karaoke Menu specialized with Share Plates and Platters. You are also welcome to order from our Dinner Menu. We offer our full Dinner Menu, Bar Menu, and Bottle Service in the Karaoke Rooms. 4. How big are your Karaoke Food Platters? The Karaoke Platters are meant to be shared and are recommended for 4-5 guests per Platter. 5. what is your song selection? There are over 100,000+ English songs available to choose from in our Private Karaoke Rooms that are equipped with a Korean state-of-the-art sound system. The system updates daily with the most current songs. We also provide a limited number of Spanish, Chinese, Japanese and Filipino songs. 6. Can I play my own music? We have one auxiliary cable per room. You can play your own music from your personal phone or iPad. You can also connect with an HDMI cable. We strongly suggest that you come in before your reservation and test what you plan on using. *Deposit and minumum may apply differently during the Holiday season.